The Italian club announced that they have agreed to sell Erik Lamela to Tottenham earlier on Wednesday and Ljajic will come to the Stadio Olimpico to replace the Argentine. Roma have completed the signing of Fiorentina winger Adem Ljajic, who will replace Erik Lamela at the Stadio Olimipico, Sky Sports reports. The Italian club agreed to sell Lamela to Tottenham earlier on Wednesday for a fee of £25.7 million. The fee will be used to pay for Ljajic, who will cost Roma 11 million euros and comes to the Italian capital on the back of a successful season at Fiorentina. Fiorentina had hoped to keep Ljajic at the club but the winger only had one year remaining on his contract with La Viola and when he refused to sign a new deal, the club had no choice but to sell him to Roma. 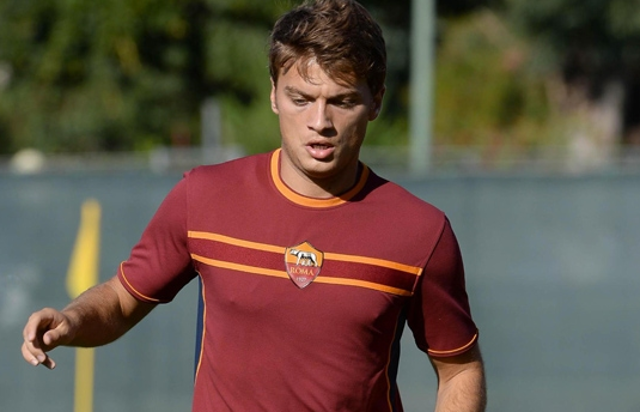 A statement published on Roma’s official website read: “Roma have agreed a deal with Fiorentina to acquire the playing rights of Adem Ljajic, in return for 11million euros”. “The agreement also recognises the payment of up to 4million euros in bonuses relating to achievements of both Roma and the player. Roma have beaten several other clubs to signature of Ljajic, with AC Milan and Liverpool thought to have been interested in signing the Serbian winger. Ljajic had spent four seasons at Fiorentina, scoring 16 goals in 85 appearances for the Florence based club.